The fewer households own cars, the emptier the nation's parking lots. It's easier for Americans to live without a car today than during any time over the past 60 years. In fact, it's becoming eminently practical and increasingly common for some people to live either car-free or "car-lite" (defined as one car per household rather than two or three). Most of the attention about this non-car trend focuses on millennials, who are getting drivers' licenses and buying cars at lower rates than previous generations. But people of all ages — including many older Americans who grew up when the car was the unrivaled King of the Road — are taking advantage of the opportunity to save money, improve their health, and enjoy their communities more by driving less. 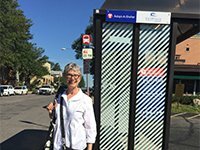 Patricia Blakely, 70, gave up her Subaru seven years ago to save money and now walks and takes buses all over Minneapolis, even though she rarely took transit earlier in her life. For the past 20 years, Roslyn Rubin, 68, has used buses, trains, bikes and her own two feet to get around Arlington, Virginia. Even folks in rural areas can reduce their car trips, as shown by Diane Miller, a 57-year-old teacher from Harrison, Michigan, who bikes 20 miles round trip to work throughout the school year. Read their stories and others in "Why Older Adults Should Give Up Their Cars." Overall, Americans are driving less per capita then they did 10 years ago, reversing a century-long pattern of ever-increasing auto use. Miles driven by Americans ages 50-74 declined 3.2 miles a day from 2001 to 2009 (latest figures available), according to AARP's analysis of Federal Highway Administration data. 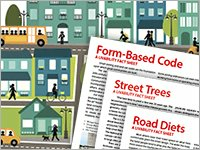 Actually, more than 9 percent of all U.S. households do not own a car, with the figure reaching upwards of 25 percent in Seattle; San Francisco; Chicago; Washington D.C.; Cambridge, Massachusetts; and other cities, including New York City, where a majority of households do not own a car. Transit is expanding and improving in many places, with total ridership up a sizable 37 percent since 1995. Trips on buses or trains by older Americans jumped to more than one billion in 2009, a 55 percent rise since 2001, according to an analysis of federal data by AARP. The number of miles of bikeways in U.S. communities has mushroomed over the past 20 years, including the off-road and protected street lanes favored by many older cyclists. The rate of bicycle riding is growing faster among older Americans than any other age group, according to a recent survey from People For Bikes. Census data shows that the number of miles biked by people over age 50 skyrocketed from 175 million miles in 1995 to 2.6 billion miles in 2009. Walking accounts for 8.9 percent of all trips for people 65 and older and 7.8 percent of trips for people 40-64, according to Rutgers University professor John Pucher. This is despite the fact that 65 percent of Americans over age 65 live in suburbs, which typically offer fewer walking opportunities. A survey from the National Association of Realtors says "sidewalks and places to take walks" is the number one transportation preference for all Americans. Nearly eight out of 10 Americans also believe it's important to live "within an easy walk" of shops, cafes, schools and other community places. Living without car involves fewer hassles today than just a few years ago, thanks to smartphones linked to the Internet. A new report from the Frontier Group identifies 11 new technologies that can "reduce your need to own a car," including services that provide up-to-the-minute transit schedules, hail taxis or connect people with drivers headed to the same destination. On average, it costs almost $9,000 dollars a year to own, insure and operate a car, according to the American Automobile Association (AAA). Many people pay these steep costs because they need a car (or two cars) for occasional trips to big box stores, to the doctor, to see far-flung friends or to go other places not served by transit or within walking distance. Carshare to the rescue! In more than 280 cities people now can rent a car that's conveniently located nearby and pay for it at an hourly rate, which is a much better option than paying every single day for a vehicle that's used only once in a while. Car rental companies are also beginning to cater to local residents with sporadic vehicle needs. A person can take quite a few taxis every year and still come out way ahead compared to the expense of owning a private car. Doing just that is easier than ever with the advent of ride-sourcing services such as Uber and Lyft that quickly connect drivers with riders via the Internet. An even newer development is microtransit, which is the term being used to describe networks of private van, shuttle and bus services like Bridj in Boston and Washington, D.C.
Lots of people, including many older Americans, are not inclined to become everyday bicyclists, but they find it handy to climb on a two-wheeler for one leg of their trip — say, the short jaunt from a transit stop to their destination. Bikeshare, which is up-and-running in more than 40 U.S. cities, makes it possible to grab a bicycle at a sidewalk station with the swipe of credit card, and leave it another station when done. 11 ways to create walkable, livable communities for people of every age. Hills, headwinds and long distances stymie some bicyclists. Electric-assist bikes are pedal bikes with a small engine that provides a back-wheel boost when needed. Such bikes make two-wheel travel more practical for less athletic riders. We've come a long way since the Sears catalog. Now virtually everything can be ordered online and delivered, which eliminates the need for a vehicle to cart bulky purchases home. For many workers, the time and expense of getting to and from a job by car can now be reduced or eliminated by working remotely and online. In a decade or two, cars could be a thing of the past. Driverless vehicles might stop at our door and ferry us wherever we want to go. Such a transportation evolution could radically transform our communities, as the need for garages and parking lots disappear, creating opportunities for more green space and new housing, offices and shops. Self-driving cars could be transformative for older Americans, children, the disabled and the poor, many of whom are unable to drive or to own a car.